it was all glare and glassiness along the bike path this morning as i walked in strides larger than my usual upon dampened darkened concrete, all puddles and wet footprints. 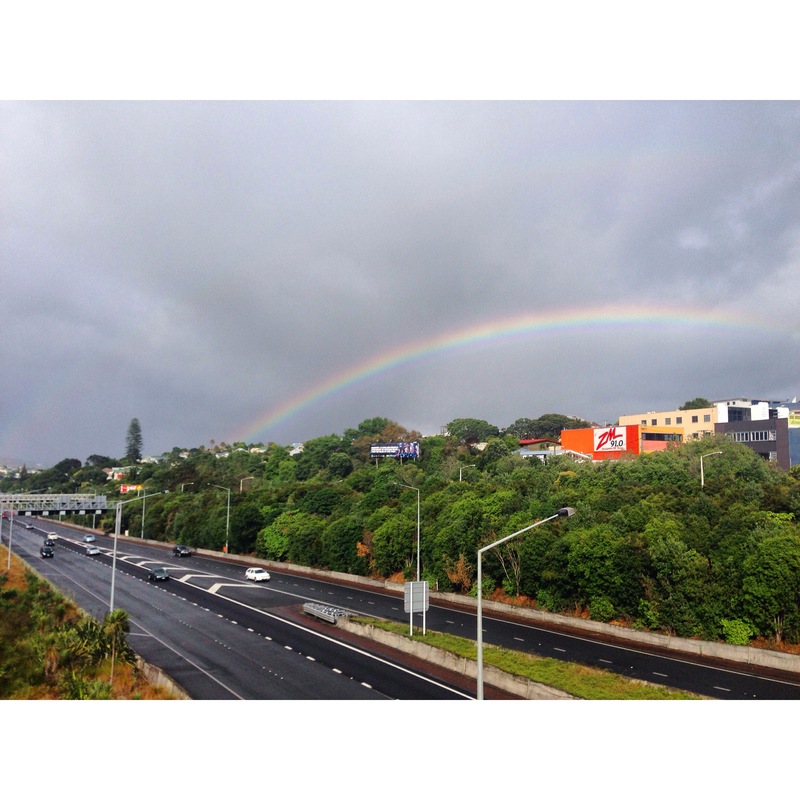 i rounded the corner up ponsonby road, and looked to my left as i crossed the bridge over cars and commuters, and i saw it beaming there. i became wholly lost in a delirium of joy and perfection. i smiled. i stopped. i stared. and tears stung the back of my eyes that throbbed with everything, it all made so much sense.